Rich and sweet raisins from the sun-drenched northern Cape of South Africa. 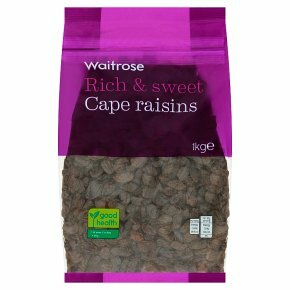 Rich & sweet Cape raisins. Add flavour and texture to cakes, breads and biscuits. INGREDIENTS: raisins (99%), sunflower oil.